Aww thank you! I wish I could take more photos in the day time, that’s when I can get them to look so great! 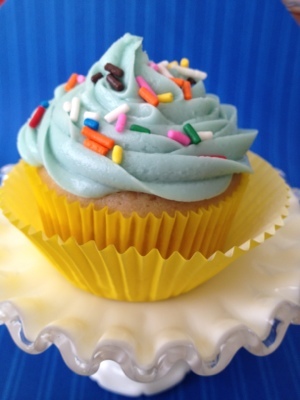 Aww, how cute is this recipe for two and how lovely are your cupcakes! aww thanks lisa you are so sweet!! Did you use the baking sticks or the spread? I used the spread, but the baking sticks would work too! This is not vegan! Vegans don’t eat any animal products (no eggs) Please change your label. Hi Rebekah- I didn’t claim that the cupcake was vegan. 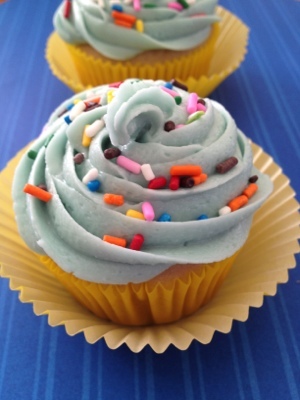 They are dairy free cupcakes and the frosting is vegan. Hi! I found your recipe through Pinterest and I love it! 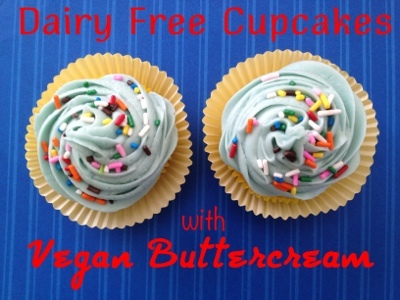 The ingredients are so simple, and dairy free- exactly what I’m looking for. 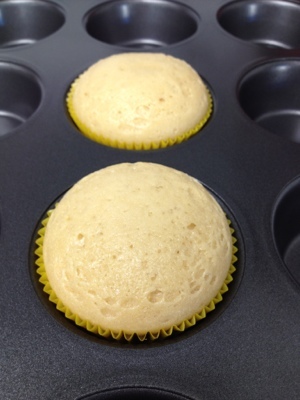 You mentioned that the recipe is adaptable and you can add different flavorings. If I wanted to use your recipe to make chocolate cupcakes too, how should I go about that? How much cocoa powder do you recommend for both the cake and the frosting? I realize this blog post is a couple of years old but I’m hoping you’ll still reply 🙂 Thanks! For the frosting I have used this recipe before: https://cookiecarrie.com/2011/12/06/chocolate-cupcakes/ You can substitute the milk for almond milk, soy milk, and i bet even coconut water would work. Vegan butter would likely work in place of the butter as well. You just may need to add more powdered sugar to get the consistency right. Please let me know how it goes! I would love to know if I should try these options as well! Hi! I found your recipe through pinterest, and I decided to try it on a larger scale for my son’s first birthday. But I pulled them out of the oven and they all deflated! What did I do wrong? Hmmm I’m not sure! Was the baking powder fresh? Rising would have to do with either baking powder or the egg.